Fallen Heroes Family Camp is hosted by JML Farms near Springfield, Tennessee. Nestled in a peaceful rural setting just a few scenic miles from Nashville, JML Farms prides itself on offering superb equine boarding and training facilities. It’s here, on this farm, that military families find each other and engage in equine activities of a therapeutic nature. They’ll learn to ride, rope, and work around the farm and horses with confidence, while making new friends and having fun. 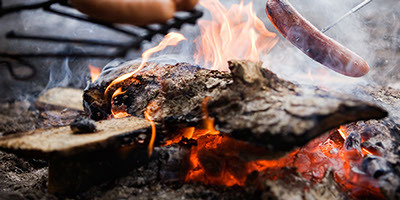 Delicious family style meals and warm campfire moments are a perfect ending to each full day. In fact, days so full of engaging activities, there is little time for grief and sorrow. There are miles of hiking and horseback riding trails and scenery that will be forever etched in mind and heart.